Daily exercise helps our body become stronger. It promotes good blood circulation and cell oxygenation. Exercise also promotes a positive and clear mind. Even our elderlies are required to exercise daily. It lessens the negative effects of natural aging. Proper exercise for our elderlies helps in avoiding critical conditions like heart diseases and bone weakness. There are exercises that are suited to our elderly loved ones’ fragile bones and muscles. These are the type of exercises suited for our elderlies. Aerobics- the exercise that promotes healthy heart and lungs. Strengthening exercise- for healthy muscles and bones. Balance and flexibility- the exercise that prevents falls and accidents in elderlies. It’s never too late to start exercising, nobody is too old or too busy for exercise. Elderlies can consult their doctors for the exercise that best suits their health. Others are traumatized by the physical pain that they felt during exercising but these pain are better than sitting on a couch or lying in bed the whole day. What exercise is best for our elderlies? This type of exercise strengthens the lungs and the heart. It also helps in alleviating hypertension, hyperglycemia, promotes a good night sleep, helps maintain a good cholesterol level, and strengthens memory. Aerobic exercises include biking, jogging, brisk walking, swimming, and Zumba. Some of these exercises may no longer be doable for our elderlies because of their weak physical condition, what the families can do is accompany them in those exercises that they are still capable of. This is to ensure safety while exercising. The main goal of aerobic exercise or any other exercises is to increase the heart rate. If your loved ones are not used to exercise, they can start first with low impact exercise activities, just like walking and cycling for example. In every physical activity that needs to be done, moderation is the key, keep the right pace and increase it gradually. How often should elderlies exercise? Because exercise is good for their circulation, it is best that they exercise daily. Do at least 20-30 minutes of exercise daily. As a start, they can aim for the minimum of a 5-minute exercise, twice a day. They can have the option of increasing its difficulty or its length. 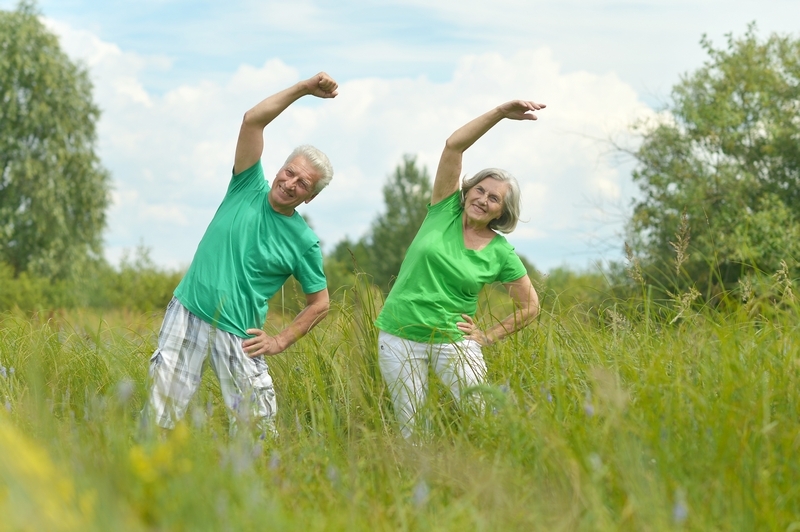 Exercise is like a fountain of youth for the elderlies, it keeps them active and strong. With the benefits that exercise can give to the body of our elderlies, we wouldn’t want to remove it from their daily routine. We just need to provide them with somebody whom they can rely on physical support and assistance. Americare Home Solutions is a non-medical home care in Dover, Delaware. We have highly trained caregivers who can help your loved ones in performing daily exercise at the comfort of your own home. We also offer companionship and respite care for in-home senior care. We provide customized home care for everyone because we believe that respect and professionalism are keys to establishing a patient-caregiver relationship at home. Do you know somebody who is struggling with elderly care at home? Please share this post with them now! This entry was posted in Home care, Senior Care and tagged exercise, Health, Healthcare, nutritous food, Personal Care, seniors. Bookmark the permalink.